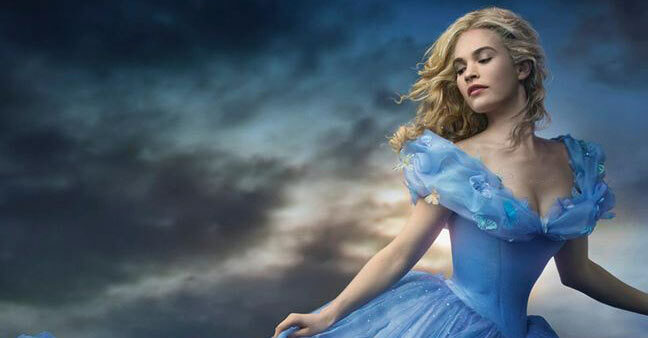 Cinderella (2015, Kenneth Branagh) is just the kind of delicious live-action nostalgia-fest you could wish it to be. The plot follows closely the line of the 1950’s animation, which is to say the programmatic version of the fairytale that I for one grew up with, and many others of my generation, too. What this means is that the film is an effortless watch because you know exactly how the plot unfolds – and there is certainly something very soothing in that. However, it also means that to keep the audience engaged, the film really has to deliver on the acting, music and costumes front. But despite the familiar story-line, it achieves this to a fault. The production value of Cinderella is sky-high. 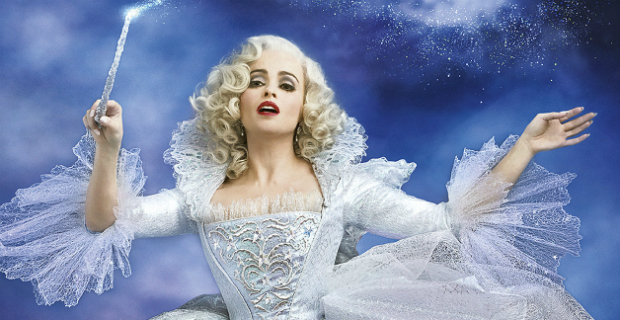 Lily James offers up a suitably saccharine performance of a Cinderella with something to teach us; Richard Madden is smiley, dandy and a loveable prince; and Helena Bonham Carter transforms the fairy godmother into a character that is all her own. The music is impressive, of course: Patrick Doyle is a master at his trade; but there’s something more. The film sweetly incorporates the old nursery rhyme Lavender’s Blue as Cinderella’s musical motif, and it’s an exquisite touch to tie the plot into the regency-esque setting. It was also a song that my grandma used to sing me when I was a little girl, so the nostalgia was even greater! But the costumes were what really stole the show. Combining regency fashion with a modern edge, each character’s personality comes through in their outfits: the step-sisters (and I’m glad we’ve moved on from calling them ‘ugly’ on account of their faces) are pampered and spoilt, Cate Blanchett’s stepmother is sharp as a box of knives, and the members of the royalty are wondrously regal. In conclusion, Cinderella is a beautiful story, beautifully presented with a moral which tells us we can all find happiness like Cinderella and her prince, if only we have courage and are kind. Cinderella has been showing in cinemas nationwide since 27th March.